These are the two opening lines of Celeste Ng’s novel, “Everything I Never Told” that won the Amazon book of the year in 2014. 297 pages later I had most of the answers to the questions I sought…well, with the exception of the my book-club’s fondness for pensive and dark story-lines. Most of us have grown to expect a little bit of a preamble from most writers at the start of a novel, as they flesh out their characters and the world they’ve created. Celested Ng, however, doesn’t really do this. She kicks off this book in an open sprint and maintains a decent “keep up and pay attention” pace that can be tough going in some bits (think of metaphorical hills within the plot) but her pace never drags. For a story delivered in one of the most deceptively minimal and straightforward writing styles I’ve read in a very long time, Ng does the amazing job of making the reader a fly-on-the-wall spectator into the lives of James and Marilyn Lee, and their children Nathan, Lydia and Hannah. What did I enjoy most about this book? I enjoyed how Ng introduced us to the struggles and challenges facing an American Interracial couple that did not deal with a Black and White coupling, as most books that want to address interracial circumstances are likely to do, but instead a first generation Asian-American and Caucasian pairing in the form of James and Marilyn Lee. “Oh, are you Chinese?” says a woman. “I could tell by the eyes.” She then pulls hers into slits. What I liked about the period in which this novel is set, late 70’s but also references the 60’s quite a bit, is that the prejudices and challenges faced by this couple are still no different and very relevant in present day America. It’s both brilliant and just a tad bit depressing that almost 40 years on some attitudes and outlooks on interracial marriages and biracial children have not changed. The prevailing theme within this book is one of loss, the obvious form being loss through the death of a loved one. Ng cleverly introduces all the other iterations that loss can present itself in life through every member of the Lee family. She covers the loss of intimacy within relationships, the loss of personal ambitions, the loss of personal identity, the loss of innocence and also the loss of trust. Each one of these losses is a sad reminder of the many mini-deaths each of us experience and grieves within our lifetime. One of the big themes in the book, that sparked long and personal discussions with my book club, centred around the complexity found within sibling dynamics in a family. Specifically where favouritism, neglect or an undue pressure are targeted towards a specific child. These theme also reveals the limitations and unintentional (or sometimes intentional) shortsighted that some parents can have when raising more than one child. and they know this is one more reason she is their mother’s favourite. As indicated by the book’s title, secrecy is also a big theme that Ng has woven into her story line especially around the circumstances surrounding Lydia’s death. This novel had me questioning how early in life we learn to keep secrets and also how well we assume to know those whom we grew up with or love. The secrets harboured within the Lee family will have you reflection on whether we keep secrets to protect others or ultimately to protect ourselves. Yah man, this novel will take you to some dark places and have you wondering what’s what in life. For an author who lays out some hard truths and invites us to not only better understand all the characters in this novel, but our own motivations, Ng still manages to sneak in some surprises that the reader won’t see coming – she’s sly like that. Ultimately, my hat goes off to Celeste Ng for writing what is a deeply complex and haunting story in the most uncomplicated and deceptively relaxed way. Those among you who are looking for a deeply introspective novel to get lost in and possibly use as an alternative to therapy, as well as learn more about the unsaid inner workings of an interracial relationship in the 1970’s. My Rating: 3.5 chickens out of 5 (yes, chickens). 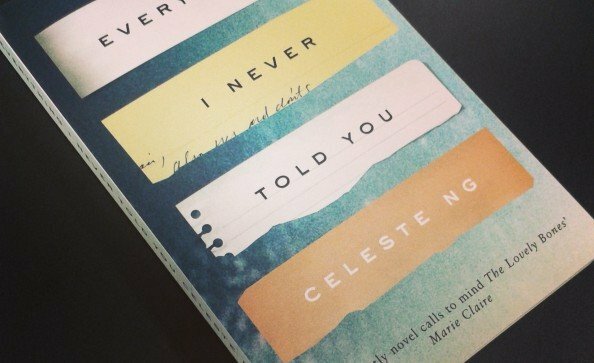 Let me know in the comments if you have read this book or anything else written by Celeste Ng? It’s well worth the read – even if I have painted it in quite a depressing light, lol. PS They joys of the ever-growing-to-be-read pile…too much to read, so little time. Not read it and uhm yeah….Who Should Read It? Next PostMhoroi Gunyana! | Hello September!